Regardless of what stage your business is in, from startup to corporation, it’s difficult to run it successfully without copious amounts of headaches. It’s exhilarating to begin seeing exponential growth with your company, but the more efficient your operation is running, the more intricate details and processes need to be established and managed. 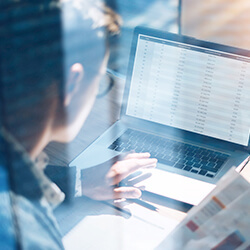 One of the more stress-inducing and time-consuming responsibilities that business owners attempt to undertake on their own is managing payroll. They soon come to realize that it requires a lot more than just knowing how much you owe an employee. At Peakview CPAs in Northern Colorado, we save you from the frustration of the complex administrative task and give you more time to focus on what you do best — running your business. 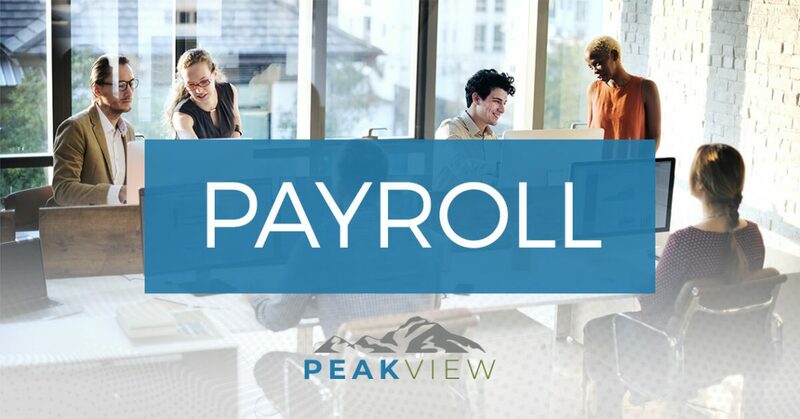 With more than half a century of combined experience amongst our dedicated staff, you can rest assured that we will take care of all aspects of your business’ payroll services. This will save you from having to hire an employee for the task or managing it yourself. Outsourcing the responsibilities to our accountants will save you time and be cost-efficient. As well as, not to brag, we’re really good at what we do, so there is no reason to worry about errors. Our commitment is to take the burden of complicated accounting and tax services from individuals and businesses in Northern Colorado. Start focusing on growing your business while we handle the financial aspects. We also provide tax services, bookkeeping, and business consulting, so don’t hesitate to contact us today to request a complimentary initial consultation.